With the release of S/4HANA 1709 On premise, one common question, we in the S/4HANA RIG team, receiving is there a comprehensive document available which provides detailed phases, steps, required SAP documents, and SAP Notes to follow to successfully convert a SAP system to S/4HANA 1709. We understand that the relevant documentation is scattered in multiple places in the SAP “world” and it’s very hard to find and consume it in a timely manner. We have attempted to create the following approach document with as much as possible relevant information included so that users can follow and successfully convert their Business Suite systems to S/4HANA 1709. 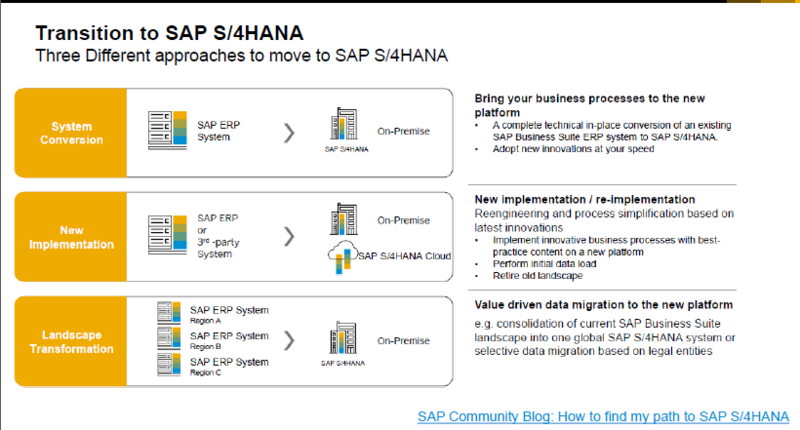 This document will start with information on what approaches are there to move to S/4HANA based on the three different scenarios in “Transition Paths to SAP S/4HANA”. This blog and document provides only System Conversion scenario in detail. 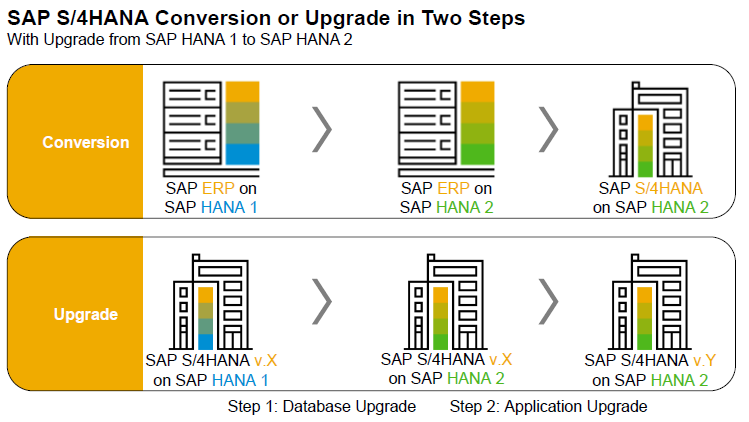 Then we will consider in detail different Phases and Steps in each phase to follow for a successful conversion to S/4HANA 1709. SAP HANA 2.0 SPS01 Rev.12 is mandatory for S/4HANA 1709. This requirement may entail a change in Hardware and/or upgrade to the Operating System depending on your initial environment. Which will add time and effort to the overall project and an adequate planning is recommended. 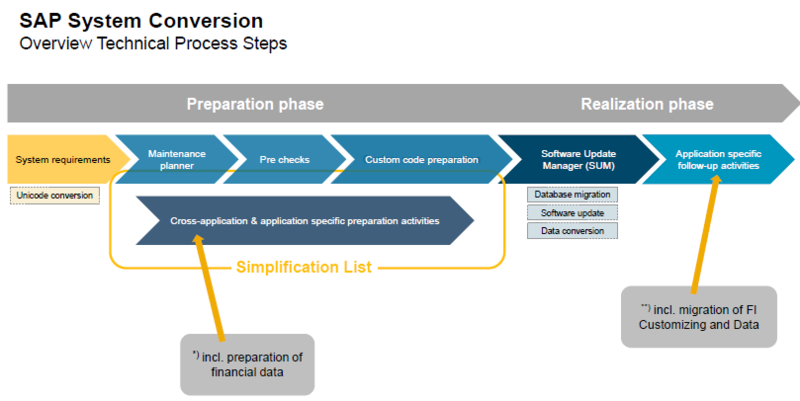 After we will delve into the steps to make sure the source system is ready for the S/4HANA 1709 conversion by executing Readiness Checks, reviewing the Simplification List, and executing Pre-Checks. 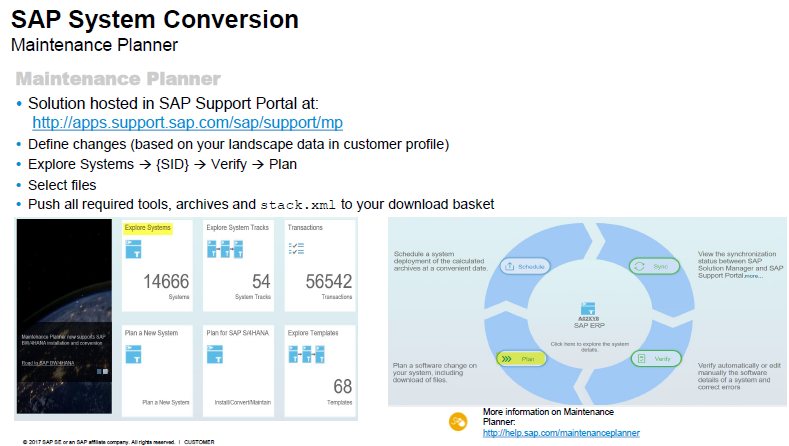 Maintenance Planner (MP) is used to check the source system for Add-ons, Business Functions, and Industry Solutions to make sure the system is convertible. You must resolve all issues reported by the MP before you can get a valid Stack.xml file, which required for system conversion, to proceed further. 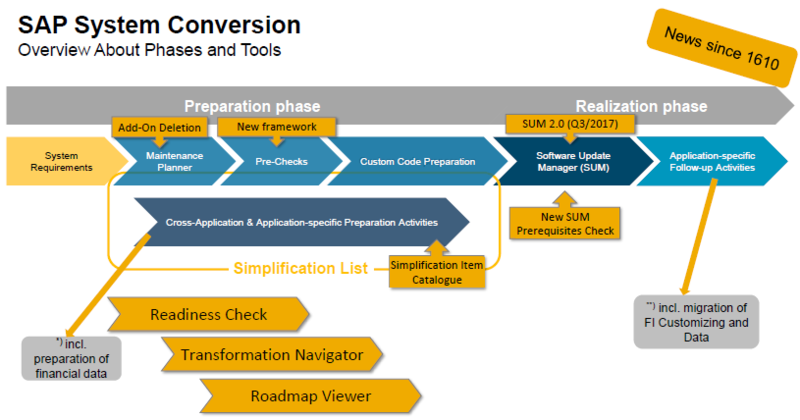 In the Realization Phase, we will detail the steps to proceed system conversion using Software Update Manager (SUM) tool. SUM will be executed ‘uptime’ and ‘downtime’ steps to complete the system conversion. Hope this blog provides the necessary and relevant information for a successful S/4HANA 1709 OP system conversion. Please click here for the latest document.